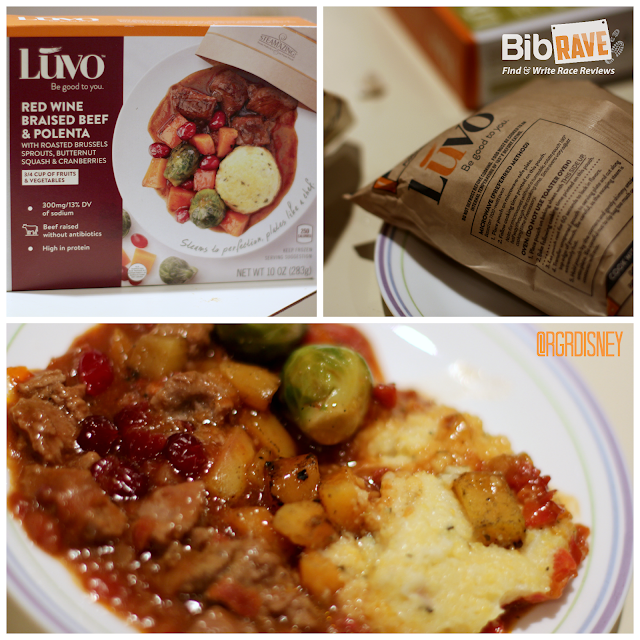 Disclaimer: I received Luvo Gourmet Frozen Entrees to review as part of being a BibRave Pro. Learn more about becoming a BibRave Pro, and check out BibRave.com to review find and write race reviews! I try hard to eat healthy. I love to cook, so when I am cooking, it's easy to stay healthy. The problem comes when life is a little busier. Two kids, wife, crazy schedules, some days just need something easy. That's when things can tend to slide down the less healthy scale. The latest product I got to test helps to solve that problem: it's quick, it's easy, it's healthy, and most importantly tasty. Luvo is more than just a frozen meal. Their philosophy is simple "We want to make it easy to make good choices by creating wholesome, nutritious meals that taste amazing." That philosophy shows with their meals. They create well rounded meals, with less sugar and sodium, and use lean proteins and whole grains. They flash freeze the meals and then you steam them in their paper pouch in the microwave (or oven if you prefer). They also take care to look at where their ingredients come from, using anti-biotic free meat and non-GMO ingredients wherever possible from farmers with "people-, animal- and planet-friendly practices." Throw in their green packaging that includes 100% recycled paperboard, and their teaming with WhyHunger, and you have a company really making an effort for the environment and the community. I've had my fair share of microwaved meals in the past. Not all (or many) of them were healthy either. Why not all were bad, none were exactly sensational. When I look at these meals, however, they were all delicious. I think the combination of the ingredients, the combinations of foods, and the steaming. The steam pouch I think really helps it taste that much better than traditional frozen meals with the tray with the plastic on top. I was given a nice variety to try, so I'll give you a quick rundown. Let's start with breakfast and the steel-cut oatmeal with quinoa and mixed fruits. This meal was a good start to the day. I love a hot breakfast, but only usually have it on the weekends when I have more time to cook or during the week at most a bowl of oatmeal. My oatmeal never comes with some warm fruit like this, but at most some blueberries thrown in. This meal was a great variety for a breakfast. Simply but tasty. 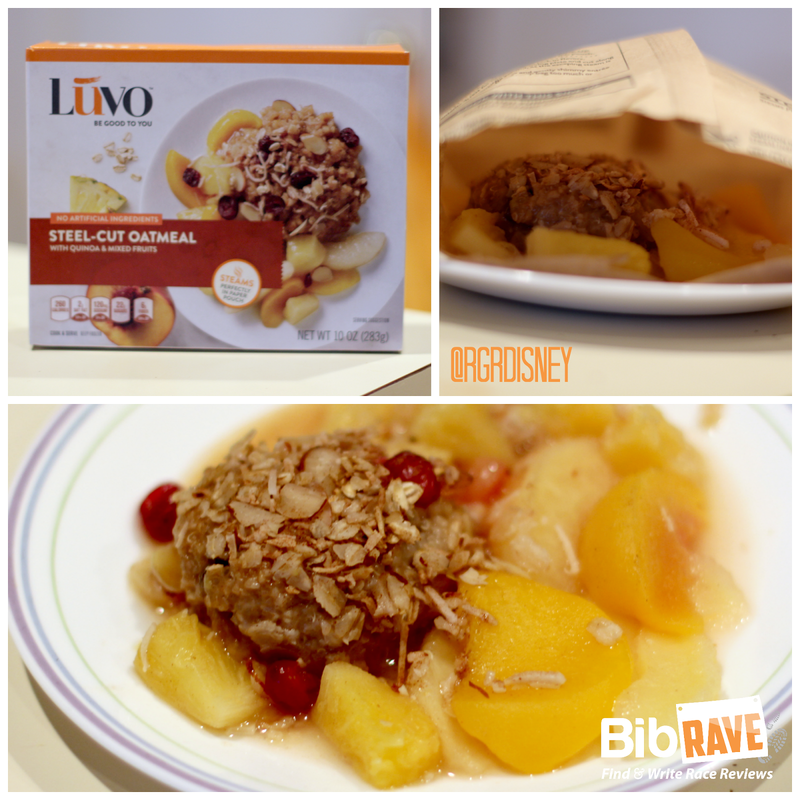 The fruit was great with the oatmeal, mixing bites with the cranberries, peaches and pears, while the quinoa helped make the oatmeal filling and unique. It was a great warm breakfast that was also quick and easy, even for a busy morning. The Farmer's Market Frittata was an amazing breakfast complete with sweet potato and mango hash with a spicy garden salsa. One of my favorite things to cook on a weekend is an omelet and whatever I happen to have in the fridge. Some day's it's adventurous, and some days it amounts to adding cheese. One of my favorites to throw in some fresh peppers, cheese, and some other ingredients then top it off with some salsa. This made the frittata not only fun to say (arguably the most fun to say breakfast food) but also right up my alley. The salsa had a great zang to it, with the sweet potato mango hash was something I never would have thought of and greatly enjoyed. I don't use sweet potatoes much, but I do enjoy them. I was also surprisingly pleased with the eggs, which is really the most important part, really. I was a little unsure how the microwaved eggs would be, but the flash freezing and steaming made them turn out quite well. This was a fantastic breakfast that I will definitely look to have again. Let's move along to dinner. We'll start with the Red Wine Braised Beef & Polenta served with roasted brussels sprouts, butternut squash and cranberries. Obviously, this one had a few ingredients in it. All together, those ingredients made up a tasty combination. The smell of this one cooking was fantastic, which was a good sign of what was to come. The beef had a great flavor to it. This was the first time I've had polenta, but I really enjoyed it. It's a great side that I may have to lear to make myself. The cranberries and butternut squash were a nice touch, and went well with the beef. I even ate the brussels sprouts. I have to say they weren't too bad, though I think they just aren't for me. I think it's the texture, or that they're really just mini cabbages and I don't really like cabbage either. This definitely made for a good dinner. This one was easily my favorite. 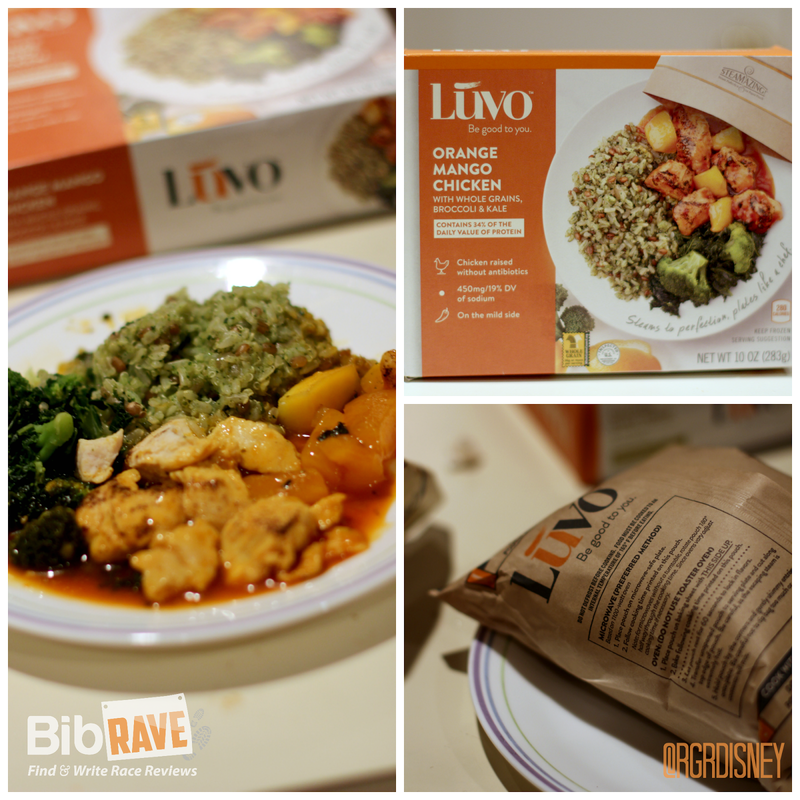 The orange mango chicken was served with whole grains, broccoli and kale. It had a great combination of sweet from the mangos with just the right amount of spice in the sauce. I love a great pairing of sweet and spicy. The whole grains went well with the chicken (and the sauce). I even quite enjoyed the broccoli and kale. I've only ever had kale once before, in a failed recipe by myself. It even plated pretty nicely, which is something they say is an added benefit of the pouch if you slide it out just right. Highly recommend this one, and I will be looking in the store to get this one again. 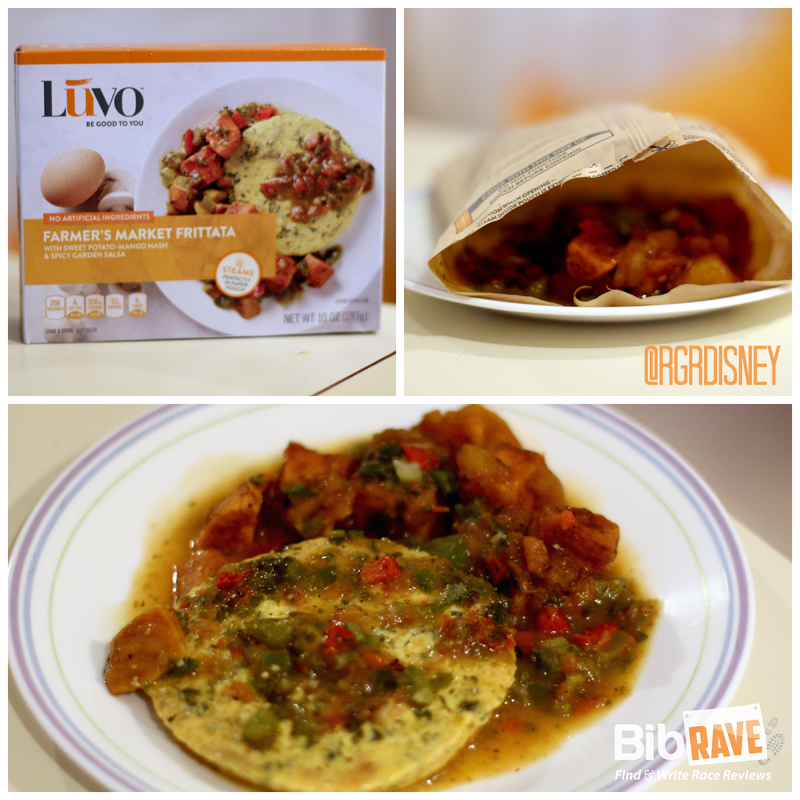 I tried several of Luvo's meals and enjoyed each one of them. They're eco friendly from their packaging to their ingredients, quick and easy to prepare, and most importantly tasty. I liked the ones I tried, but they have some many more that they offer. They also span styles, everything from Chicken in BBQ Sauce, to Red Curry Chicken, to Spinach Riccotta Ravioli, over to Thai Style Green Curry Chicken and back to Turkey Meatloaf and Mashed Potatoes. Have I piqued your interest yet? If you want to try these for yourself, they have a store locator just for you. I used it, and am happy to know the grocery store around the corner carries them. I really enjoyed them, and from the tastes my wife had, we'll be buying some more on our next trip to the grocery store. I know I could use some more easy healthy options in my life, to keep myself on track. Let's be honest: are these better than a home cooked meal from fresh ingredients? No, but that's not the point. Are the a very tasty and healthy option that's incredibly quick and easy? Absolutely. File under "will eat again". What do you do for quick, easy, and healthy? Is there a more fun to say breakfast food than frittata? This week's upcoming bibchat will feature Luvo. Stop by on Tuesday, March 1st at 9pm EST to join in the fun of Bibchat. Interact with myself, other BibRavePros, and all the other like minded runners that participate each week. We'll be talking about "Healthy Eating" this week. I do recommend bringing a snack most weeks, but this week for sure because there will be plenty of food talk.. Or maybe just have a Luvo meal on standby for after. Oh, and did I mention the great giveaway? 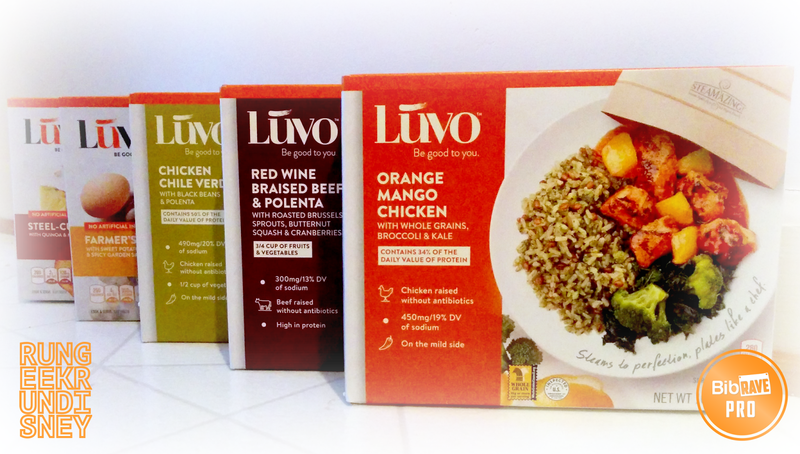 Luvo is giving away two weeks worth of entrees to three winners! Don't miss out!